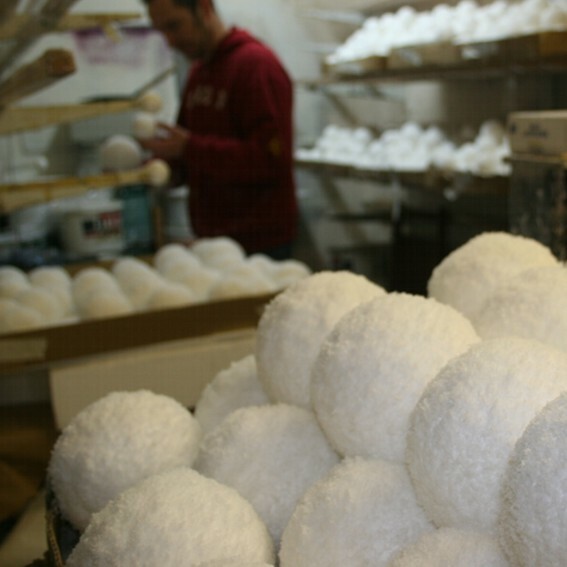 Our snowballs are produced from display grade expanded polystyrene, containing a flame retarding additive. 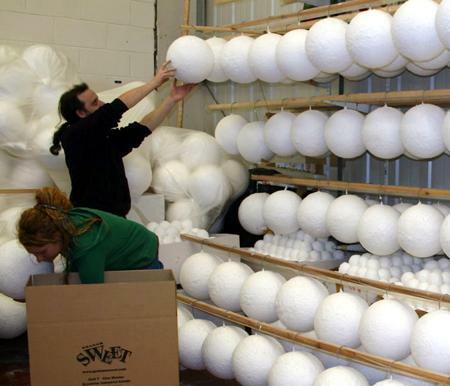 The polystyrene balls are then covered with a realistic artificial display snow. Please note that we DO NOT use a flammable adhesive then sticking the snow to the ball. For an additional charge, we can fit secure hanging points to the snowballs. On the 390mm and larger baubles, these hanging points are bolted through the ball from top to bottom. All fixings are hidden, just leaving the traditional loop, or a small eye nut, at the top. For an additional charge, the fixings can be individually tested and a certificate supplied. Depending on the size of order, and the size of the snowballs, we send goods with an overnight courier such as TNT, or on a dedicated door to door service. All the Snowballs are packed well to prevent damage. 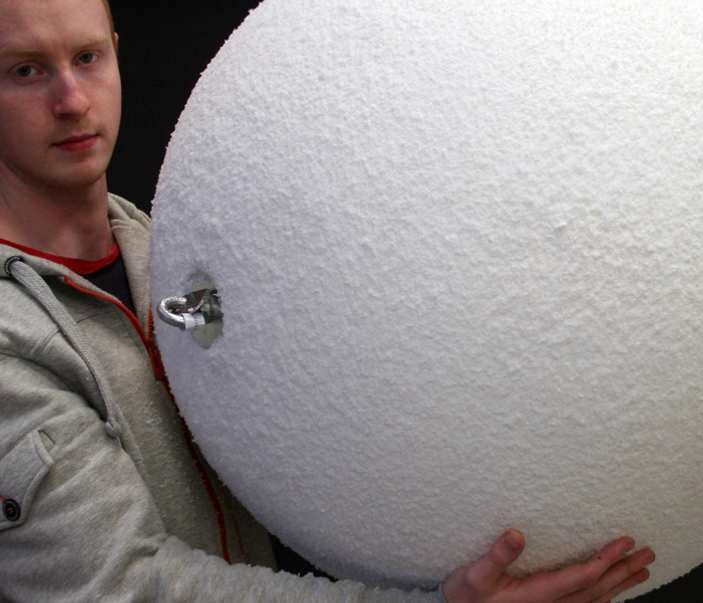 Polystyrene snowballs are manufactured in our studios in Cardiff ( UK ), and are produced from materials which have been sourced locally and within the EU wherever possible. Having suppliers close by ensures that we can usually offer a quick turnaround. Please be aware that as we get closer to Christmas, our lead times can increase.